Saltfront released their third volume earlier this year, making it available in every locally owned bookshop across the Wasatch Front. SLUG writer Brian Udall chatted with Michael McLane, Jesse Peterson and Eric Robertson about the journal and its content. Reviews for Saltfront have been featured in local publications such as City Weekly, The Catalyst, and SLUG Magazine. 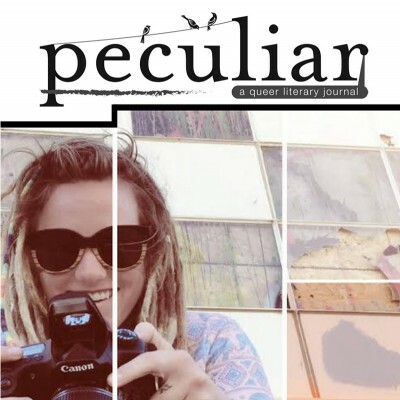 Peculiar is a queer-centric literary journal produced in Salt Lake City. The journal features stories, poetry, art and photography, created and produced by members of the LGBTQ community around Salt Lake. Peculiar recently released their first issue in physical and PDF formats, and are currently taking submissions for the second volume until September 27. Listen as Brian Udall sits down with editors Jack Garcia and Aaron Gates to talk about the journal, the works inside and the artists and writers that contributed to the journal.